Jul. 6, 2015 7:00 p.m.
Karen Mortensen first noticed that her breathing was becoming more laboured about three days ago, but the situation intensified yesterday as the air thickened in the Fraser Valley. 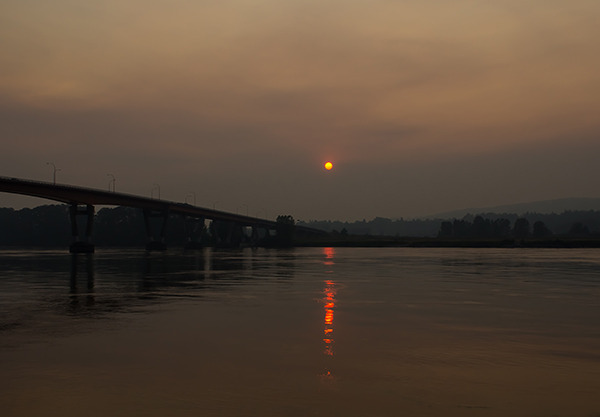 A heavy haze has blanketed the Valley, including Abbotsford and Mission, due to smoke from wildfires throughout the province and in Washington State. Mortensen suffers from chronic obstructive pulmonary disease (COPD), a lung disease that can constrict breathing at the best of times. But the diminishing air quality has resulted in Mortensen having to confine herself to her Mission home. Mortensen was outside yesterday (Sunday) to attend a memorial service but had to leave early when she could barely breathe. She also experienced burning eyes and a sore throat. She uses inhalers and is now taking the maximum dose. Mortensen said even climbing the stairs in her home has become labour-intensive. Many other people posting on the Abbotsford News Facebook page are reporting similar issues. Tasleem Juma, spokesperson for the Fraser Health Authority, said the region has seen an increase in people coming into hospital emergency departments. However, she added that it is difficult to tell whether the spike is due to heat- or respiratory-related issues. Meanwhile, an air quality advisory issued yesterday in Metro Vancouver has now been expanded to the Fraser Valley due to high concentrations of fine particulate matter related to the wildfires. According to the Ministry of Environment, the air quality health index today (Monday) in the central Fraser Valley is expected to reach seven (out of 10), putting it in the “high” range, while the eastern Valley is expected to reach a “moderate” level of five. Those with chronic underlying medical conditions are being advised to avoid strenuous outdoor activities and are encouraged to stay indoors as much as possible. Metro Vancouver air quality planner Geoff Doerksen said fine particulate concentrations from the smoke have hit levels never seen before across the entire Lower Mainland. “Seeing these heavy smoke levels mix down to the ground is unprecedented for our region,” he said. The air quality objective for fine particulate is 25 micrograms per cubic metre measured as a 24-hour rolling average. Readings four times that level – 100 micrograms or higher – were recorded Monday morning at stations in North Vancouver, Burnaby and Vancouver, where the highest reading of 121.6 was at Sunny Hill Health Centre for Children. Other areas with particulate levels double to triple the objective included Surrey at 81.7, Langley at 67.2, Abbotsford at 66.2 and Chilliwack at 50. Hope was less smoky at 10. The hazy conditions are expected to persist until there’s a change in the current weather pattern. The wildfires – including ones in Sechelt and Pemberton – have raged due to dry conditions brought on by low precipitation and record temperatures across the province. Abbotsford, for example, recorded its driest June on record with just 12.1 mm of rain, compared to the normal amount of 74.8 mm. The previous record was 14.5 mm in 2009. The city also recorded its warmest June on record with a mean monthly temperature of 18.8 degrees Celsius, compared to the normal mean temperature of 15.7. The previous record for June was 18.2 in 1958. Records continue to be smashed in July. 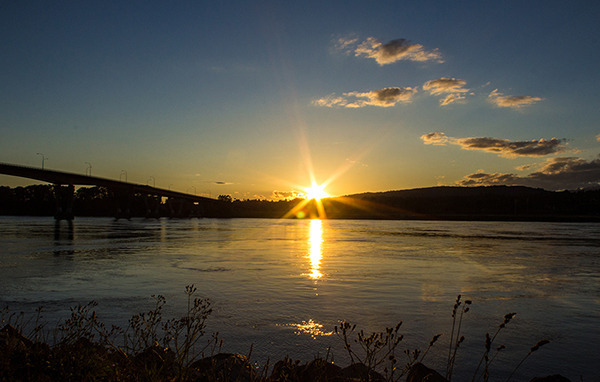 Abbotsford’s high of 36.3 degrees Celsius on Saturday (July 4) broke a 57-year-old record for that date. The previous record was 31.7 degrees in 1958. Environment Canada meteorologist Andre Besson said the warm spell is expected to persist throughout the week. While westerly winds could help alleviate some of the smoke issues on the ground, a ridge of high pressure is expected to trap much of it in the area, leading to smokey skies in days to come.